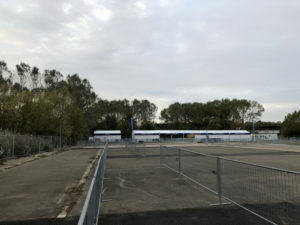 The transport plan for Ryder Cup 2018 operations in Paris, Saint-Quentin-en-Yvelines is ready to host the expected 60’000 participants per day, 250’000 in total. 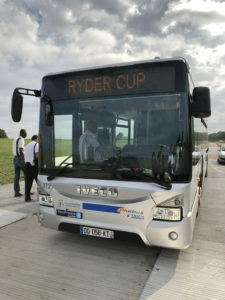 This is the achievement of 5 years of planning activity that Citec conducted in close cooperation with Ryder Cup Europe, European Tour, Fédération Française de Golf, Ile de France Mobilités, Saint-Quentin-en-Yvelines and other local authorities, as well as the various service providers involved, as Keolis, Savac, CSP and RCTS. A total fleet of 350 urban busses will serve the four (4) Park and Ride (for a total capacity of 12’000 car spaces) and two (2) official train stations in SQY and Massy, operating four (4) different RER lines, especially enhanced with the addition of 50 additional trains on the 6 days of operations (additional capacity of more than 100’000 passengers on the various lines). 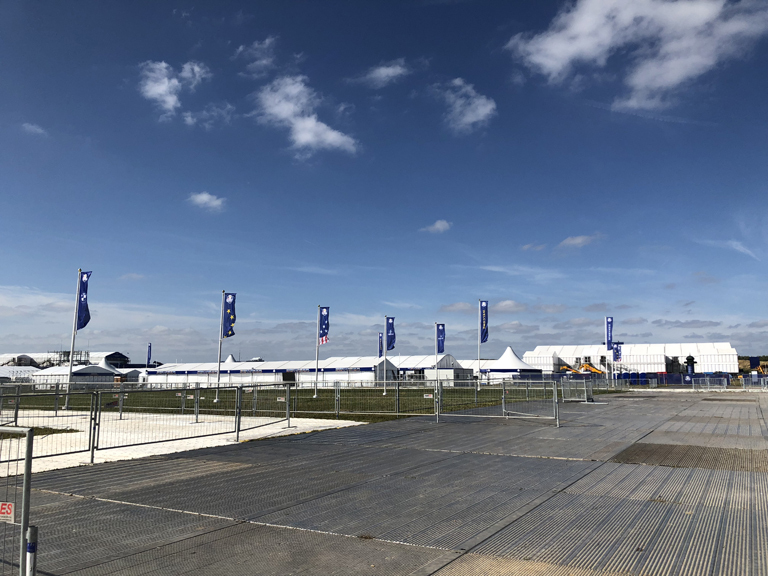 All flows will reach two main temporary bus terminals on the edges of the Golf National, each one specifically designed by Citec to manage up to 10’000 pax/h/dir. 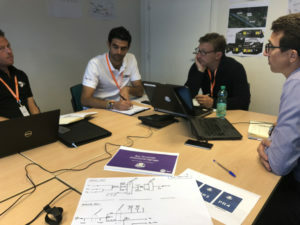 The whole plan represents a total surface of 500’000 m2 of transport operating areas (not far from the 7 ha of surface of the whole Golf National). A total of 1’000+ men and women are going to be directly involved into the management of transport operations, as volunteers, drivers, parking stewards, operational managers, etc.) under the supervision of 12 Citec managers on-site. Citec team on-site was trained to the peculiarities of the transport operations during a 2 full-day training sessions. Transfer from planning to operations always requires deep and attentive work. The contingency planning was also designed in order to face weather difficulties, overflows and transport shortage. 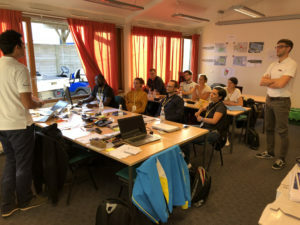 While the last details are scrutinized at the PCO (Poste de Commandement Opérationnel), the main Transport Operational Centre, in a constant joint work with Security managers and Venue operations managers, we prepare to host spectators for the 3rd most followed event world-wide!